Now and then, I’m reminded of how much I have to be grateful for in this life I’m living here at the farm. The days remain hot, but the nights have grown cool enough that we must turn on a heat lamp to keep the new chicks warm. They’re Production Reds, purchased as replacement layers. 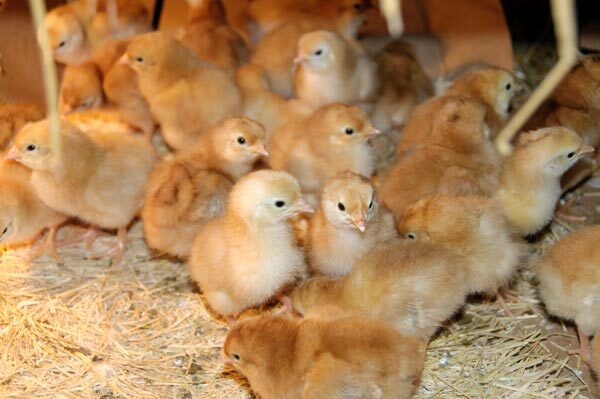 Usually I hatch a few dozen chicks from my own layer flock and choose all my replacement laying hens from those. This year, though, it was time to once again add new blood to the layer flock, and I was delighted to learn that a nearby hatchery was still hatching these Reds, which I’ve had good luck with in the past. The young Cornish Cross meat flock has provided a few pleasant surprises now that they’ve feathered out nicely. The birds have graduated from their brooder space and spend their days scratching among the weeds and at the edge of the woods, hunting for tasty treats. This is, in my experience, unusual. All the Cornish Cross chickens I’ve raised in the past have been, for the most part, very stupid and obnoxious birds that lived at the feed trough. This season’s Cornish Cross are from a slower growing strain, and they much more active. 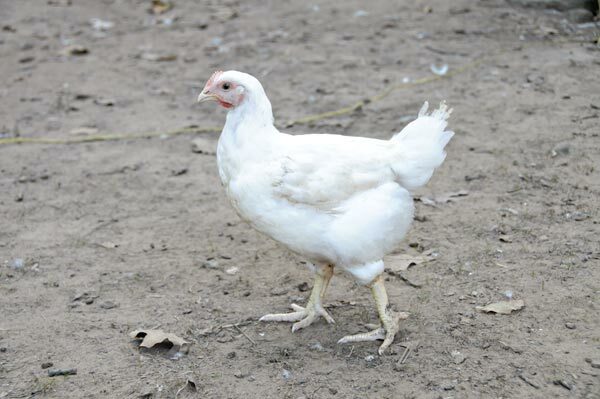 They’re healthier, too, with none of the leg problems common to strains that are bred to grow meat more quickly than their bones (and sometimes their hearts) can support properly. I’m grateful to have found this strain. 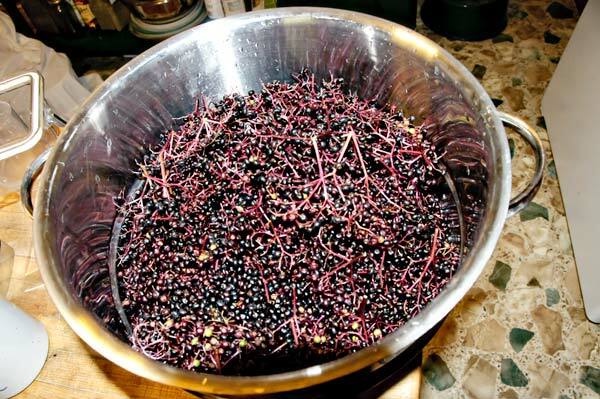 I’m grateful, too, for the plentiful harvest of elderberries from the patch we planted near the creek a few springs ago, and for the additional elderberries I harvested from an older stand farther downstream. I froze the juice for jelly-making later when I’ve more time. I’m particularly grateful to my generous neighbors who’ve kept me in tasty tomatoes this summer while most of my gardens lay fallow. This one was so pretty, so perfectly shaped, that it seemed a shame to slice it. I did, though, and it was every bit as tasty as my neighbor had promised. 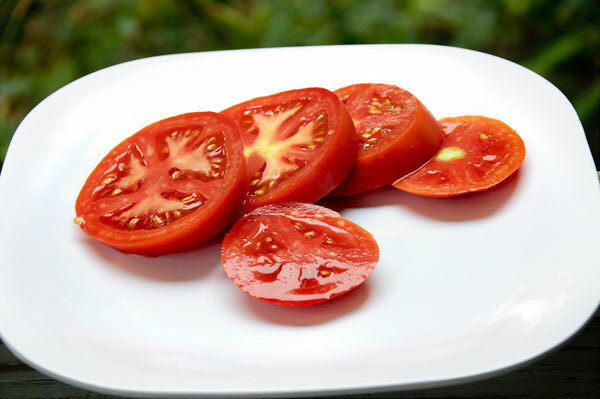 It’s a new variety, developed from a chance cross of heirloom varieties. The plant is huge, healthy, and prolific. 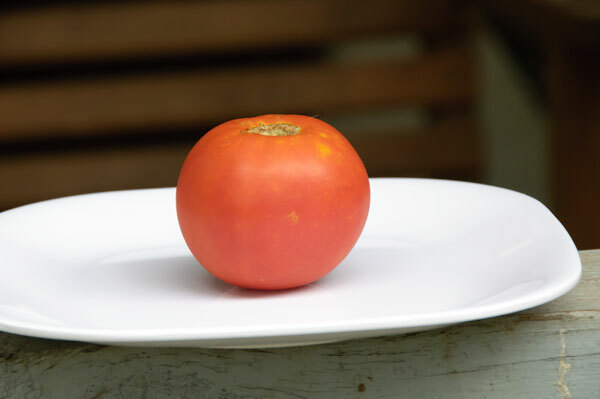 It has, in fact, thrived despite the challenges of this summer’s intense heat, humidity, and disease pressures that wilted so many lesser tomato varieties. If all goes well in the next year or two of testing and propagation, the breeder will have seeds from this variety available for sale. And me? I’m grateful to be a small part of the process. Just call me Taster # 5.